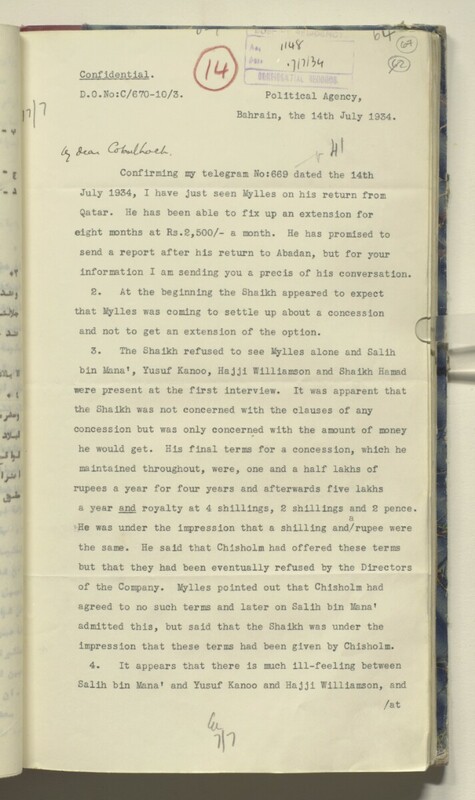 Bahrain, the 14th July 1934.
information I am sending you a precis of his conversation. and not to get an extension of the option. impression that these terms had been given by Chisholm.